If you are at all in tune to the news coming from Revolution Enterprises, then you know that they have a brand new spar named Race SPL. These rods follow the trend that began with the ever popular Race Rods, followed by the Green Race Rods. The rods were first mentioned on the Revolution forum before the Revo Clinic in Spain. Up to now, little information has been released about these rods, and many people are anxious to get their hands on a set, however, they are only available through direct contact at events, and through limited runs for certain stores or parties. 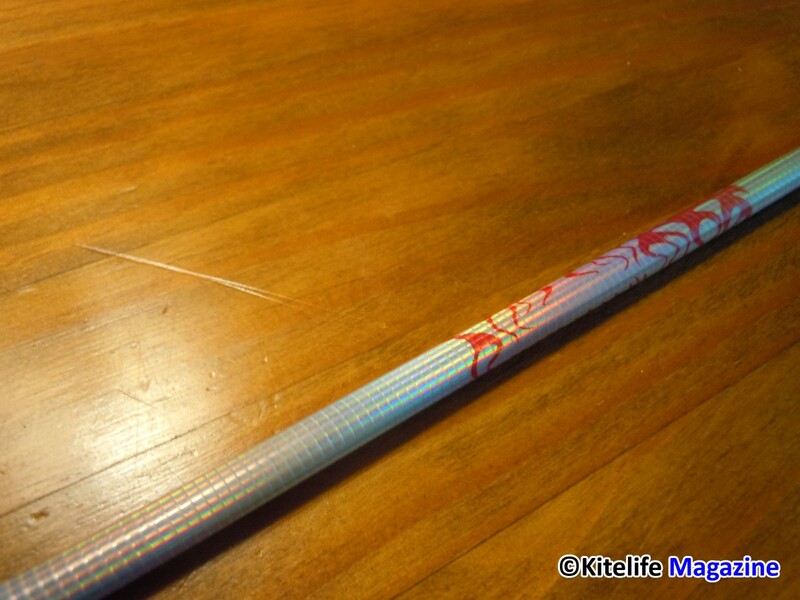 The Race SPL (Special) rods are noticeable by their shiny white finish, and two pink printed logos on the rod. These are without a doubt the most visually stunning rods that Revolution has produced. However, looks don’t mean much if they can’t perform, so let us get into the nitty gritty details. I managed to obtain a set of these rods just before the 5th Annual West Coast Rev Clinic in Long Beach, where we gave away three sets to lucky attendees. Through the weekend, I used these rods in a full vent and full sail B-Series Pro with wind conditions ranging from high to low for each kite. As a condensed review, the Race SPL Rods are heavier than Race Rods and 2 wrap rods, but lighter than 3 wrap rods. They are more stiff than Race Rods, but more flexible than 3 wrap rods. The way that they flex is more akin to the original Race Rods than to any standard rods, or the Green Race rods. Unless you are a very knowledgeable and experienced Rev flyer, you may be thinking, “What does this mean from a practical standpoint?” Well, luckily for you, I can answer that question. There are three main characteristics to look for when looking at Revolution rods: weight, flexibility, and recoil. This is the least ambiguous of the three characteristics. Weight refers to the physical weight of the rod. Put simply, lighter weight rods will have less resistance to movement, and will be easier to use in lighter wind, while heavier rods have more resistance and will slow the kite down for it to be more manageable in heavier winds. That said, there is a slight benefit to having heavier rods in lighter wind. A heavier rod has more potential for momentum. A flier can take advantage of the weight in a kite to do slack line tricks and to throw the kite around. Flexibility refers to the rod’s ability to bend. 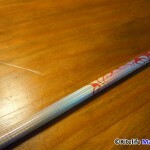 The most flexible rods from Revolution are the Zen Rods, and the least flexible are the SLE rods. Flex is most important in the rods placed in the leading edge. 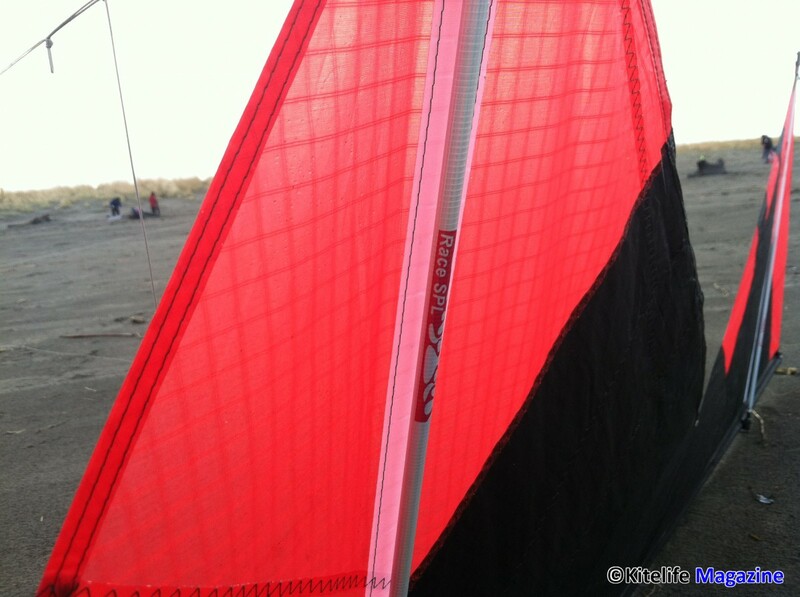 When the leading edge of a Rev flexes, the center of the kite billows more. 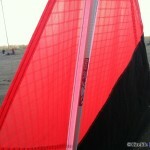 This allows the kite to build up more pressure. If the leading edge is too stiff, then the sail will not load, and will not be as precise. If the leading is too flexible, however, the kite will have a difficult time flying in a straight line, and some of the sail pressure will even spill out the trailing edge of the kite. A rod’s recoil describes how a rod reacts to being flexed. One thing that made the Race Rods so popular is how they snap back into place after being flexed. This gives the kite a bit more of a immediate reaction to your inputs. Some rods, like the Green Race Rods, for example, don’t snap back as quickly. This gives the kite a characteristic that I call “squishy.” The kite will tend to absorb the flyer’s inputs. The SPL Rods follow more along the line of the original race rods, in that they snap back into position and give the kite a nice sharp feel. All this said, the Race SPL rods are perfectly good rods, and they fly well. The only issue for me is that they don’t seem to fulfill a purpose in my kite bag. The rods are almost like a 3 Wrap equivalent of a Race Rod, with the exception of the weight. In heavier wind, these rods flex the way Race Rods do in their ideal wind. However, they are too light for the heavier wind, and don’t have that weight and momentum to throw around. In incredibly light wind, they perform well, and it is hard to tell the difference between Race SPL and Race Rods. For descriptions of all the types of Revolution spars, check out this page. This entry was posted in Accessories, General Topics, KL Archive, New Accessories and tagged race rods, rev, spars.